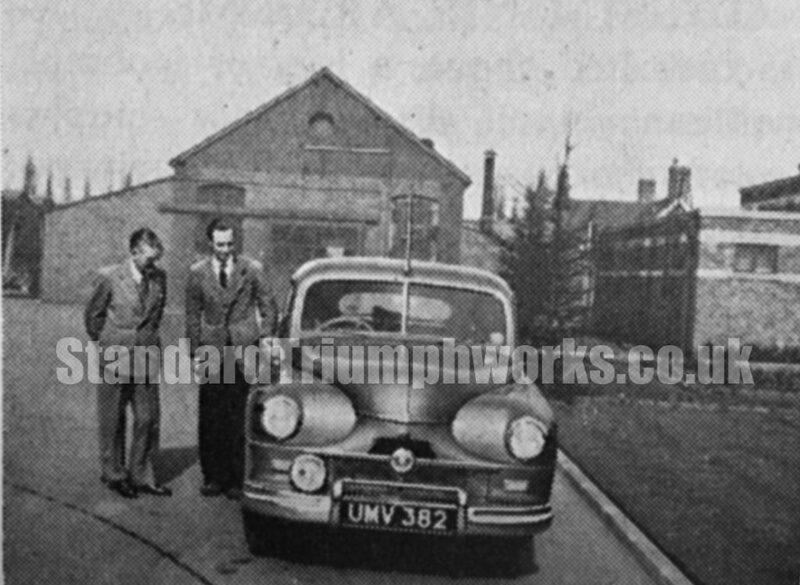 Part of this project is to recognise many of the factory features that made up the Canley Standard Triumph site. 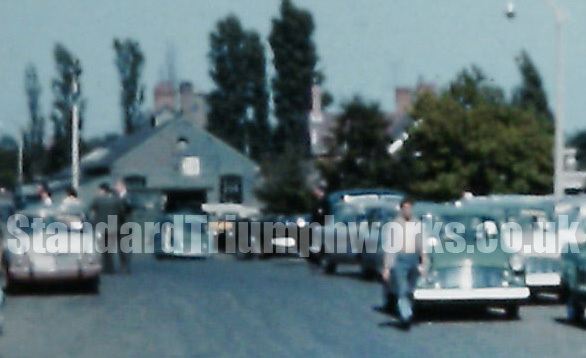 We would like your help.It’s always interesting to see parts of the huge site in photographs and try to identify what/where they were. Many of the units/departments changed areas over the years, so it will be difficult to place a certain department in a certain area because of these changes but a number of distinctive features made up the Canley site (and other sites so we know which is which) – So here’s the first challenge for you. The first photo is the earliest. It’s Fletch South. 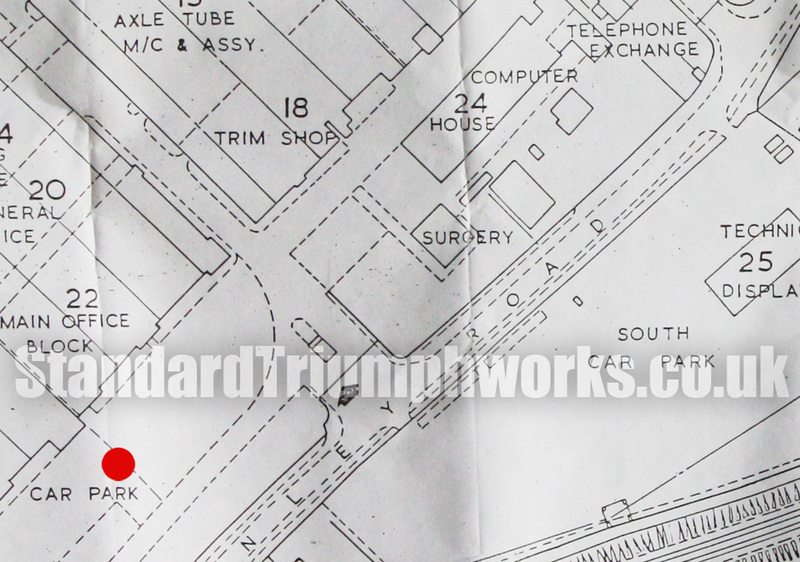 The railway line and Canley Road would be to the photographers right and Ivy Cottage and the rows of original works buildings on the left. The map (below) will help too. This photo we have dated cAugust 1959. It was taken along the same road, further back from the first, but it also shows the same building. Notice how much the trees have grown! Can you identify the buildings? From the top photo is the apexed building the Computer Room with the flat-roofed building (hidden in the second photo) the Surgery? Please let us know. Here’s a plan of the site. This is actually later than both the photos. We’ve added the red dot as an indication to where the photographer was standing.